Appliance Repair in Grapevine: Who Should You Trust With Your Appliances? Buying an appliance is a big investment no matter if you are buying a new microwave or a brand new washer and dryer set and when something goes wrong, it is easy to feel disheartened and uneasy about putting your investment in someone else’s hands. It’s not just putting your investment in someone else’s hands; you are also putting your home’s and family’s safety in their hands as well. When your appliance needs repair, you need someone who isn’t just another cog in a big faceless corporation fixing your appliance. You need someone who is your neighbor and sees you as such. 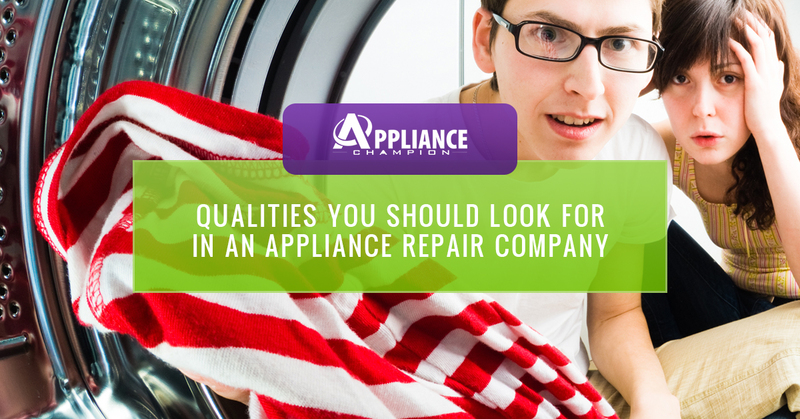 So, what should you look for in an appliance repair service company? Keep reading to find out! When you’re looking for someone to care for something as big as one of your appliances, you need someone that is dedicated to 5-star performance every service call. What is five-star performance? Five star performance means that the client and their needs is the main focus. The appliance repair techs are always thinking about you and your needs, and not how soon they can get done with the service at hand. Five-star performance also means having the proper tools and parts to get the job done right the first time, everytime, protecting your investment and your warranty. We also feel that this entails spending time with you, the client, helping you understand not only the issue, but also the fix and the ongoing maintenance needed. Five-star performance is always about building trust. When your appliance breaks, you don’t need appliance repair sometime in the next couple weeks. You need appliance repair right away. We all use our appliances regularly, if not everyday and not having an appliance can really throw a wrench in your day. 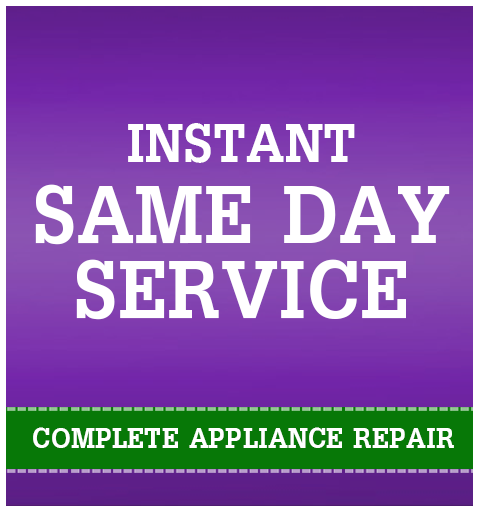 If your chosen appliance repair specialist in Grapevine does not offer same day appointments, then they may be a fine repair company, but really, do you want to wait till they can get around to your needs? Or, do you want someone who can help you right away with factory-certified parts? A local, family-owned business has more invested in the well-being of their neighbors than other corporate brands. A local company will care about what you need and getting the service right because they are your neighbors. They go to the same grocery stores. Their kids go to the same schools and they know just what the community needs. A local, family-owned company will take great pride in the services that they provide you, because serving Grapevine isn’t just another service area, it’s about the customers and the standards that they have set for themselves. Taking time to build trust is a foundational element to any relationship, whether it be with a friend or with an appliance repair service company. Feeling like you can trust that the appliance repair techs that have entered your home to be reputable people, and trust that they will do the best job possible, is a must. You may feel it is optional, just as long as your appliance gets fixed and you can get back to your life. However, we feel that your standards should be higher than that. When you call Appliance Champion for all your needs in Grapevine, we want you to feel as confident as possible about not only the service we are providing, but also our intentions toward you. The appliance repair techs should not only have ample experience and knowledge about fixing appliances, but they should have experience and knowledge fixing your appliance, at the very least, and they really should be factory-certified. When your appliance repair tech is factory-certified, that means that they know how to properly fix your appliance and they have access to brand-new factory-quality parts that will fully fix your appliance. When your appliance repair tech has as many years fixing appliances as Appliance Champion’s factory-certified repair techs do, you know that your appliances are in good hands. With all this in mind, if your appliance repair tech has all of these qualities then you can rest assured that they are someone that you can trust. You can trust that they will have your best interest in mind, that they know how to properly fix your appliance and can fix it with the proper parts. You can have peace of mind because you know that if your fridge quits or your dryer is performing less than its best, there is someone who has your back. Appliance Champion has set the standard for appliance repair in Grapevine and the Dallas-Fort Worth area. We take great pride in what we do and truly want to help you get the most out of your appliance and have peace of mind knowing that there is someone you can call who truly cares about you. Visit the Appliance Champion website to learn more about the service options we can provide you and call us whenever you need service or have questions about your appliances!